You can Ask Siri to do things for you just by talking the way you talk, Siri also replies to your questions and understands what you are saying. Siri understands your natural speech, and it asks you questions if it needs more information to complete a task. How to Use Siri for iPhone, iPad and iPod Touch: Full guide. How to Use Siri for iPhone, iPad and iPod Touch: Full guide. Sometimes when you are talking to Siri on your iPhone or iPad it doesn’t stop listening, because of some noise around you or some other person is talking in the background. But you can solve this problem by controlling Siri manually with your iOS devices (iPhone 4, iPhone 5, iPhone 5s, iPhone 5c, iPhone 6, iPhone 6 Plus, iPad or iPod Toiuch) Home button. How to Use Siri for iPhone, iPad and iPod Touch: Full guide. You can Ask Siri to do things for you just by talking the way you talk, Siri also replies to your questions and understands what you are saying. Siri understands your natural speech, and it asks you questions if it needs more information to complete a task. How to ask siri questions by typing. Sometimes Siri does not understand what you are spaeking and don’t reponds. If you want you can always ask questions to Siri using your iPhone, iPad or iPod Touch keyboard. 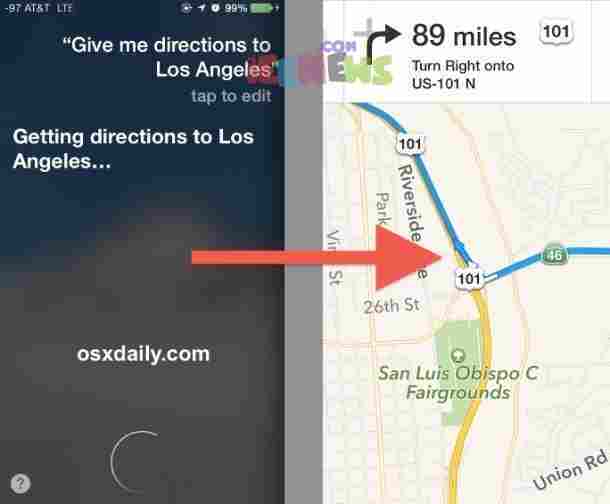 How to Use Siri for iPhone, iPad and iPod Touch: Full guide. You can ask Siri to make a call, find a business and get directions, schedule reminders and meetings, search the web, identify songs with Shazam, and more. You can even ask Siri “What can you do for me? or tap the “?” in the left corner of the screen when you bring Siri up. Siri also uses information from your contacts, music library, calendars, and reminders to better understand what you say. So it responds more accurately when you ask to make a phone call, play music, or create an appointment or reminder. How to Use Siri for iPhone, iPad and iPod Touch: Full guide. You can also control General settings and apps of your iPhone or iPad without using control center. You can control general settings like Bluetooth, WiFi, and Airplane mode by using iOS Siri service. Siri will tell your name, if Siri is pronouncing your name wrong. You can tell Siri That’s not how to pronounce your name (whatever your name is). You can Ask Siri to do things for you just by talking the way you talk, Siri also replies to your questions and understands what you are saying. Siri understands your natural speech, and it asks you questions if it needs more information to complete a task. 9. 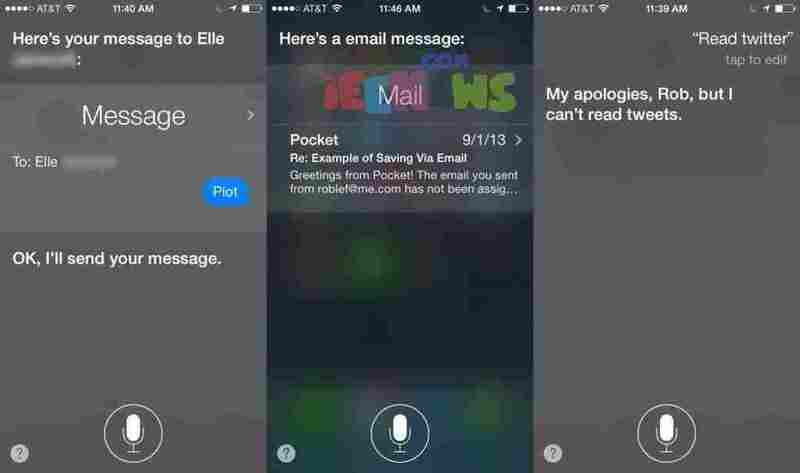 How to send an SMS or iMessage with Siri on iPhone and iPad. You can ask Siri to make a call, find a business and get directions, schedule reminders and meetings, search the web, identify songs with Shazam, and more. You can even ask Siri “What can you do for me? or tap the “?” in the left corner of the screen when you bring Siri up. You’ll see examples of things Siri can do, along with ways you can ask for things. 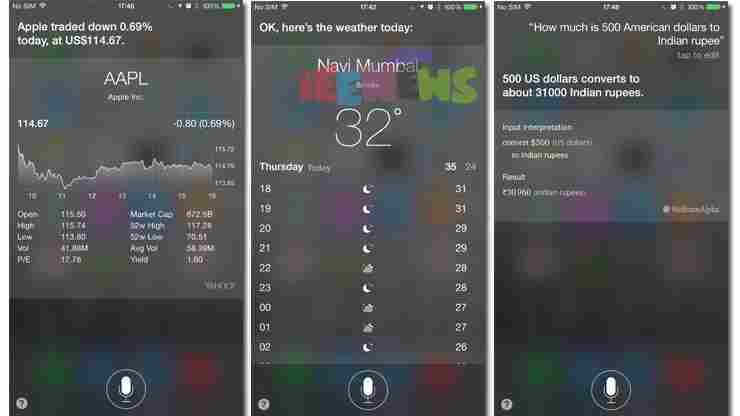 How to Use Siri for iPhone, iPad and iPod Touch: Full guide. Siri is smart enough, it understands, replies and does your work, without needing any work on your part. Siri understands you better and will give you better suggestions and replies, when you will start using Siri more often. It learns your accent and conversation and provides you better replies and answers. Siri also uses information from your contacts, music library, calendars, and reminders to better understand what you say. 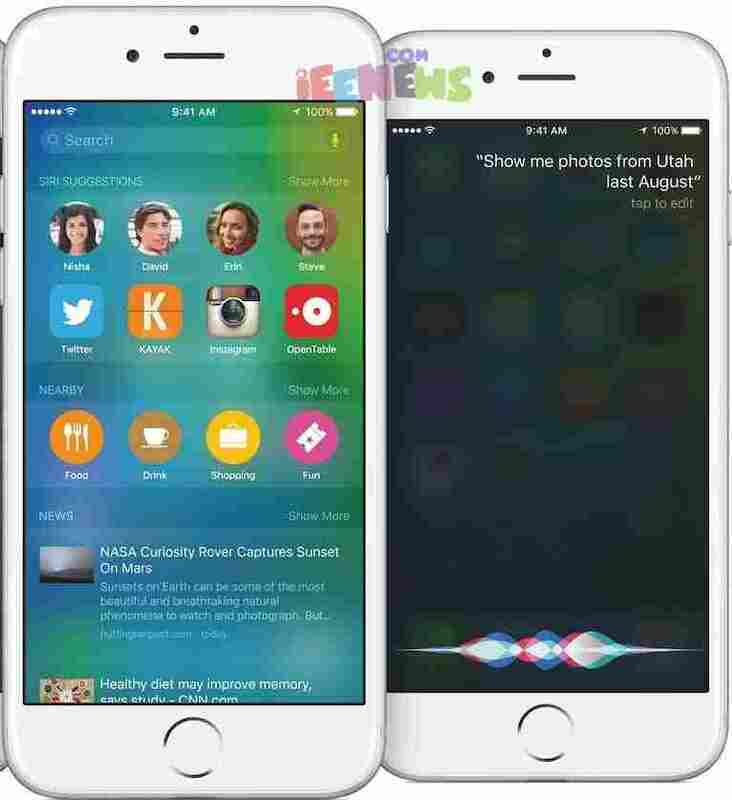 How do i ask or use siri in iOS 7 or iOS 8. It learns your accent and conversation and provides you better replies and answers. Siri also uses information from your contacts, music library, calendars, and reminders to better understand what you say. 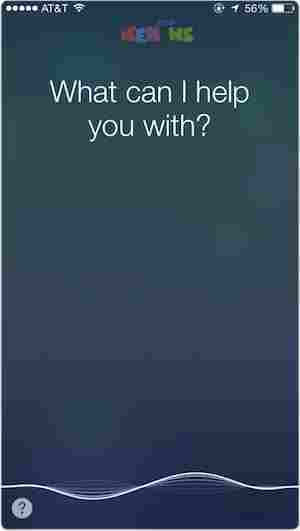 So it responds more accurately when you ask to make a phone call, play music, or create an appointment or reminder. You can use Apple iOS Siri to do most of the things — like sending messages, placing calls, or making dinner reservations. You can also tell siri to show your iOS device call history or recent call history. Every iOS device like (iPhone 4, iPhone 5, iPhone 5s, iPhone 5c, iPhone 6, iPhone 6 Plus each have two built-in cameras, front and back of your device. The front camera on your iOS device has been especially tuned for FaceTime. It has just the right field of view and focal length to focus on your face. Every thing in the front camera is brilliant. It has great exposure and light settings. So it always presents you in the best possible light.You don’t have to setup FaceTime with new account or name, it works Straight away. 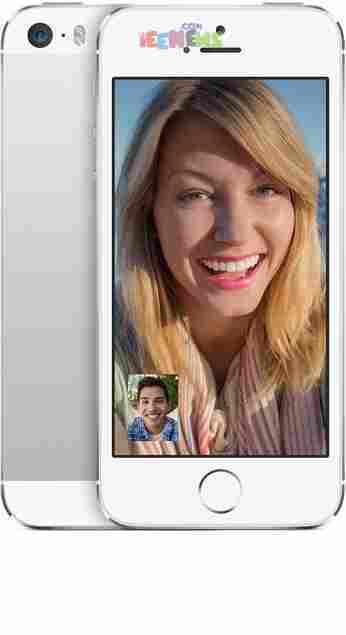 If your iPhone or iPad are running iOS 7 ,then you can quickly call your friend using FaceTime. And if you want to make it faster, then you can use Siri to video call or Facetime with your friends or family. 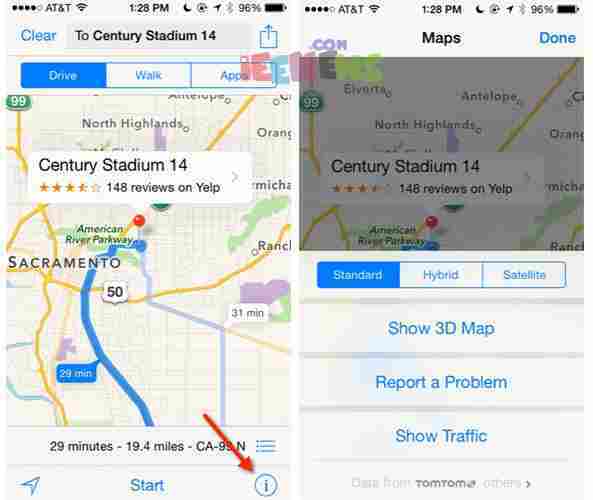 How to create location based reminders using Siri. 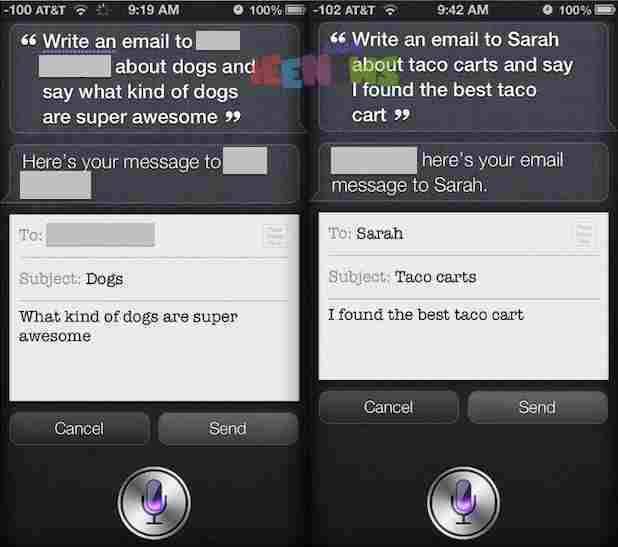 Siri talks and Siri Searches, these are the two things that Siri does. 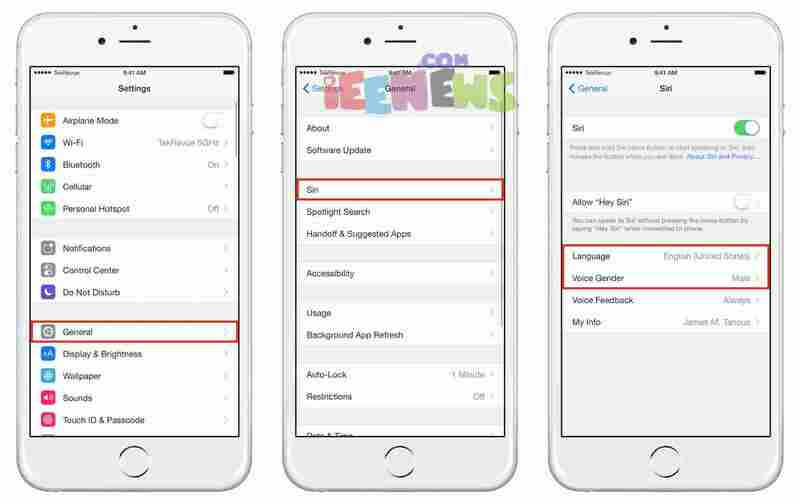 But the former does better, but with release of the new intelligent search feature in Apple iOS 9 has redefined Siri search functionalities. And, now you can get even more answers when you type in the Search field. If you have an iPhone or iPad, then you can simply Ask Siri to search through your photos and videos based on their dates, locations, and even album titles, Apple iOS Siri, will search for you. Like: you can say to Siri ‘can you please show me videos from my album london’. With HomeKit app, you can use your iPhone, iPad or iPod Touch (iOS devices) to control all of your smart home accessories that “Works with Apple HomeKit” accessories. All your home accessories like home smart doors, like lights, locks, thermostats, smart plugs, and more can be controlled over your iOS devices, if all those accessories are compatible with Apple HomeKit. You can always control your HomeKit-enabled accessories when you’re away from home using your Apple iOS device with homekit native accessories app. But, if you want to control all the devices with siri, then you will need an Apple TV (3rd generation or later) with software version 7.0 or later. Sign into iCloud with the same Apple ID on your iOS device and Apple TV, and you’ll be able to use Siri commands to remotely control your accessories. Having Siri with you at all times means you can access it that much more quickly and conveniently. And be even more spontaneous with your requests. Simply raise your wrist and say “Hey Siri,” or press and hold the Digital Crown to dictate messages, get turn-by-turn directions, or stay up to date on your events. You’ll get an instant response to your query. 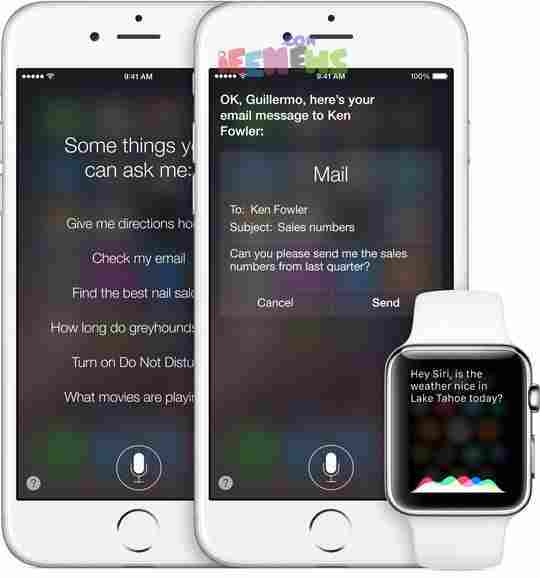 Apple iOS Siri commands you must use on Apple Watch. How to send a message with Siri on Apple Watch. Just Say something like show me the Drake tweets or what is drake tweeting about today on twitter? Or you can also search your friends tweets. Siri can be your ideal guide to check scores, league matches timetble and can do more than just tell you where they are currently playing. Ask Siri to search by different criteria or a combination. Then Siri gets you photos, scores, player status, live updates and many more things. Use Siri to Set an Alarm, Set the Timer (How to set an alarm on iPhone, iPad or iPod touch). Say “Show me alarms.”, to see all created alarms on your iOS device. Siri can be your ideal guide to check alarms, timers and create them and can do even more. Ask Siri to search by different criteria or a combination. How to change or edit an alarm using Siri on iPhone and iPad. 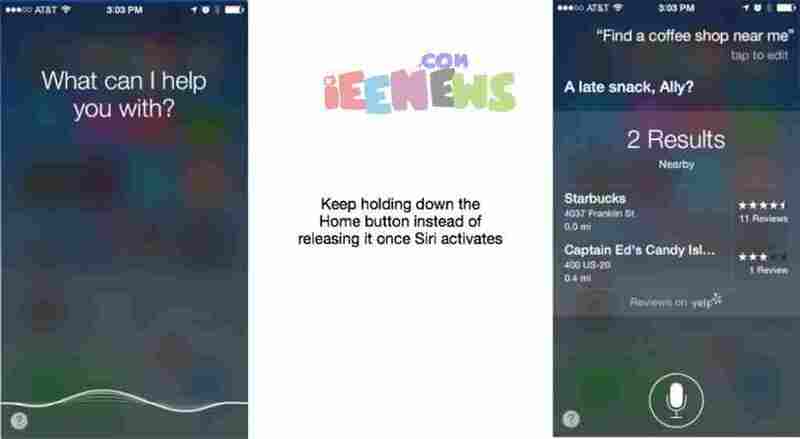 In the first step launch and activate Apple iOS siri by pressing Home button of your iOS device (iPhone 6, iPhone 6 Plus, iPhone 4s, iPhone 5s, or iPad and iPod Touch), running iOS 7 or iOS 8 or over. You can tell siri like Show today’s google stock. 10 9. How to send an SMS or iMessage with Siri on iPhone and iPad. 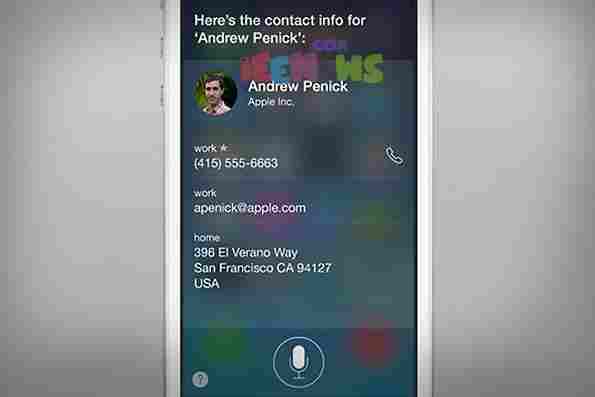 Check voice mail with Siri?